See those little raindrop bokeh on the stem?? It actually rained this evening after 76 days of no rain. A lovely capture, even some nice little bike sparkles. Stunning on black. Lovely colours. 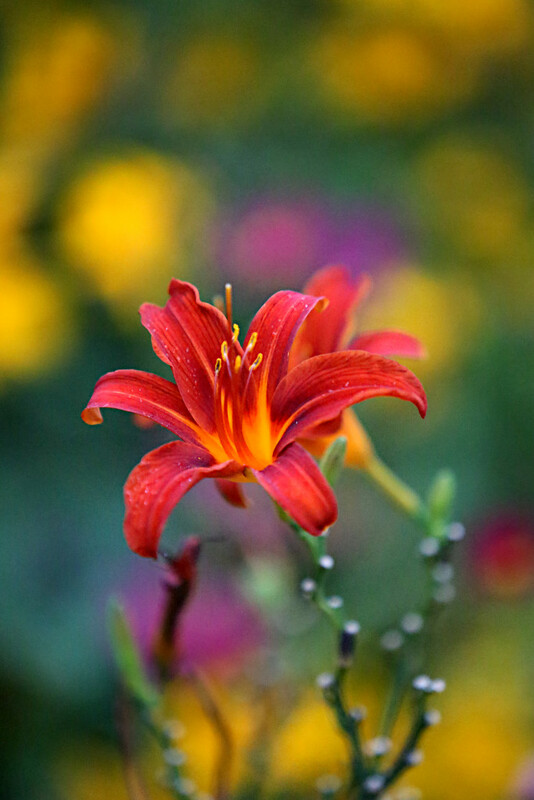 Great colors- which has made this "common" Day Lily look so striking! This is beautiful! Hurray for needed rain!